On February 6th in 1998, Vancouver Canucks GM Mike Keenan and New York Islanders GM Mike Milbury traded talent sending Trevor Linden to Long Island in exchange for Todd Bertuzzi, Bryan McCabe, and a third round pick in the 1998 NHL Draft (Jarkko Ruutu). The unpopular move was one of ten during a two month span, gutting the core of the Canucks. Brian Burke replaced Keenan as GM four months later and relieved Iron Mike of his coaching duties the following year, ending his troubled fourteen month tenure with the team. 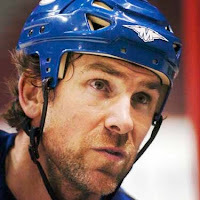 The Canucks reacquired Linden in 2001 and Captain Canuck played his remaining days with the club that selected him second overall in the 1988 Draft, retiring on the 20th anniversary of that memorable day.